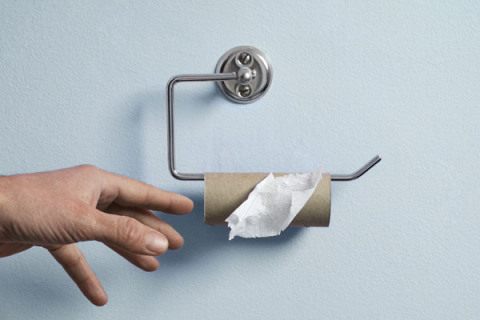 Ever been stuck in the office toilet with your pants around your ankles and no toilet roll in your cubicle? We always thought that this dilemma had been solved years ago (use your socks, obviously), but Kimberley-Clark, the owners of Huggies and Kleenex, have other plans. Lets just hope that is as far as the 'data dump' (tee hee) goes, and the specifics of your bathroom breaks aren't monitored by your boss. "You used 13 feet of paper in that last trip, Peters. What's wrong you?" Although if it can also monitor who does and does not wash their hands, we'd be fine with it all - including cameras in the stalls. Because people who don't wash their hands are worse than Hitler. No, not an overstatement.